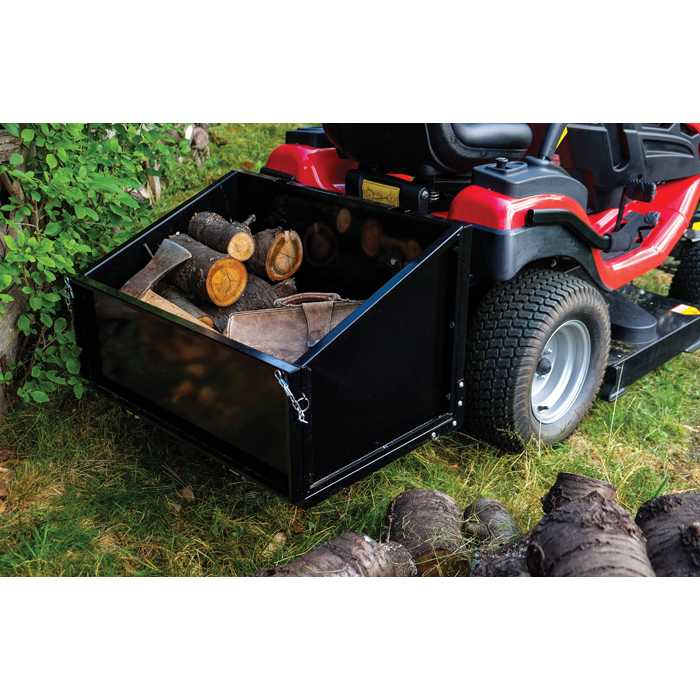 Designed for C and B Series garden tractors, the 120 litre transportation box is ideal for carrying logs, compost and tools. It can be used to transport loads of up to 120kg. Strong and durable, the box is made from heavy duty steel. Both the back panel and corner joints have been reinforced for extra strength. Raising and lowering of the box is achieved using the powered grass collector lever. The back panel folds down for easier loading and unloading. The box attaches to the lift arms of the tractor. An additional ‘3-point link’ to the tow bar increases stability*. Delivery FREE OF CHARGE if ordered with a tractor. Otherwise, please call us for a quote.